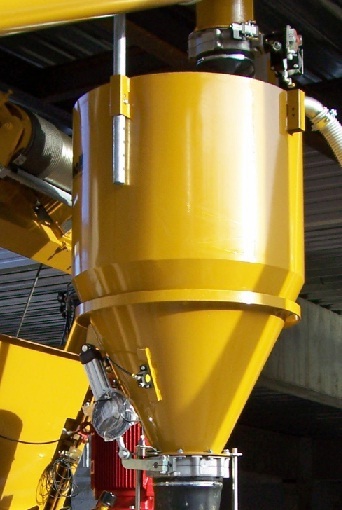 Though the title of this post is cement weighing, we will discuss about consequence of not weighing cement in concrete batching. In small concreting works, it is usual to add cement as bag considering each bag having weight 50 kg. Cement bags are considered 1.25 cubic feet and weight of 50 kg. In actual condition this 50 kg bag, due to inherent properties of products and as well the quality and efficiency of machines, may not have exact 50 kg of cement. So an error limit has to be set for packaging of cement. In this regard, Standard of Weights and Measures (packages) Rules, 1977 provides margin of variation by 1% (this may be short or excess in quantity) for each bag. Cement is packed in factory as 50 kg per bag; but due to error in packaging, stated above, and also during transportation and unloading and reloading operations in different places, some cement may be lost. This is prominent when jute bags are used in packing. Now we are receiving cement bags of less weight and sometimes this may lack 5 kg or more of cement i.e. lacking more than 10% of weight and designing mix proportion according to volume batching, considering 1.25 cft obviously lead to error. This error is also observed in weigh batching when 50 kg bag is considered. Now-a-days we are using plant-mixed concrete, with either hauling equipment or sometimes some mixing is left for agitating hauling equipments. They are well known as ready mixed concrete (RMC). We have provided numerous information about ready mixed concrete from our experience and from ASTM and ACI specifications and requirements in this blog. In RMC, weigh batching is done successfully and economically. In most cases, in Indian subcontinent, volumetric batching are used and we experienced in many cases excess consumption of valuable components of concrete. So for important and large jobs of concreting, cement should be measured accurately to have exact cement content in concrete for expected mix proportioning. Hi! nice post. Thank you for sharing. Cheers!